Japan suffered a devastating tsunami in March of 2011. Typically after something like that occurs, an occasional piece of debris will wash up on the shores of other continents following the currents and tides. In the Pacific Northwest an object washed up on an Oregon beach that could signal the beginning of something on a scale never seen before. A massive chunk of an actual dock almost seventy-feet long, twenty-feet wide and at least seven-feet tall made landfall a few days ago. Experts didn’t expect to see debris from the horrific 2011 tsunami until March 2013. It’s happening a lot faster than they anticipated. According to the Japanese Consulate in Portland there may be at least three more of these enormous docks on their way to the beaches of the West Coast. Fishermen in the area are concerned about the errant debris and the damage it could do to their vessels when it arrives without warning. 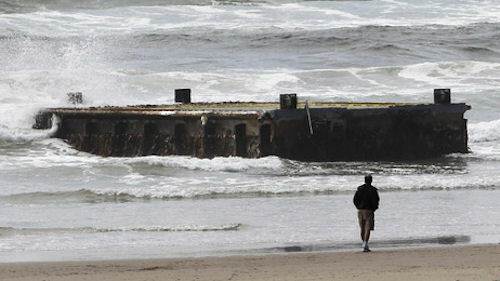 In April the Coast Guard opened fire and sank a mysterious ship entering the nearby waters. Turns out it was a Japanese ‘Ghost Ship’ that had drifted on its own all the way into the shipping lanes of Alaska. Mama Nature is not happy lately…at all. 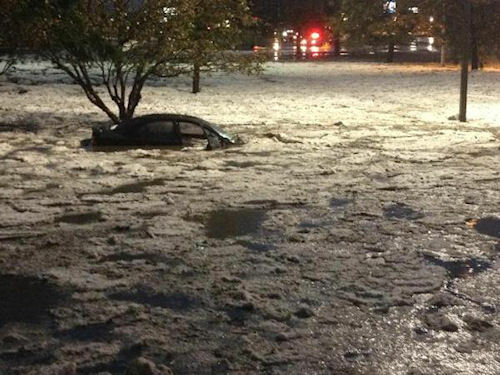 On June 7th in Denver, Colorado a storm system moving through the area brought hail…a friggin’ massive, omg-worthy amount of hail. Weather Channel reporter Jim Cantore’s Twitter feed exploded with images from people living in the area showing they weren’t joking about there being a LOT of hail! 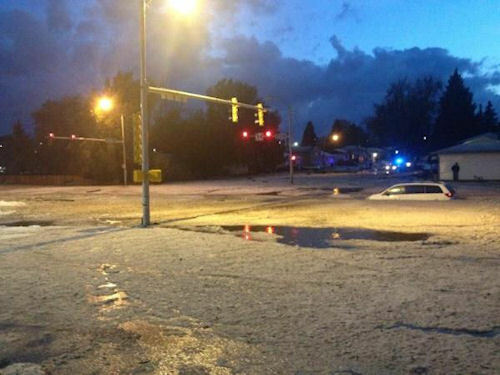 Did we mention there being a LOT of freakin’ hail? 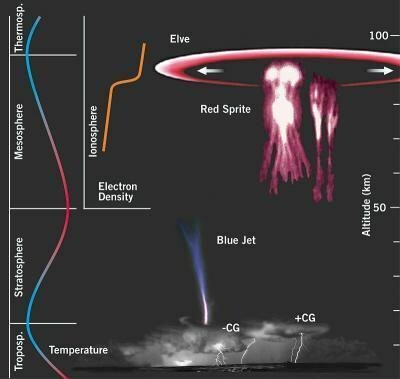 During this absolutely over the top demonstration of what Mother Nature’s capable of, several tornados also allegedly touched down to wreak havoc across an area that’s ordinarily not affected by such meteorological nonsense. Rainbow? Lame. Double Rainbow? It had its time and people sang its praises. Fire Rainbow? You have our attention. 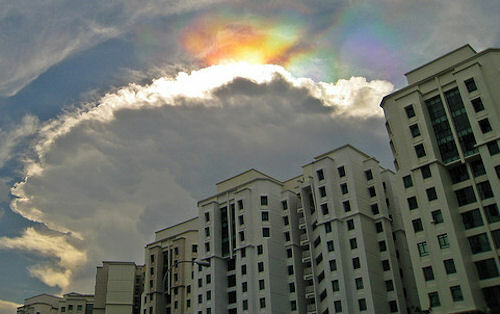 A naturally occuring optical phenomenon, the ‘fire rainbow’ or what’s called a circumhorizontal arc is something that requires being in the right place at the right time to witness. A lot of conditions have to be in place in order for you to witness what happens when the leprechauns decide to pull a Bridge on the River Kwai maneuver in a panic. Fire Rainbows (we just made it a thing…circumhorizontal arc is never going to trend) take place only in a cirrus cloud which contains very little moisture. Inside the cloud, the ice crystals have to align horizontally just right in order to refract the light perfectly because of the angle of the sun on the horizon. On top of all that, you have to be in the right place on the earth or your angle will be off and your little peepers won’t get to witness the power of the Fire Rainbow! Posted in Weather | Comments Off on Fire Rainbows! Very quietly and very slowly older neighborhoods and strips are making way not for new highways and public spaces but for the creeping, crawling onslaught of nature. Case in point? 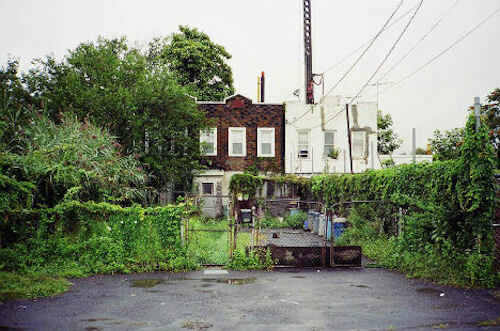 A small five-block neighborhood between Brooklyn and Queens that’s come to be affectionately referred to as ‘The Hole’. Used by the mafia to dump bodies and almost completely forgotten about the busy denizens of a bustling city just blocks away, there are only a handful of people living there who continue to call it home. Being thirty feet below sea level and part of a water basin doesn’t help either. Most of the structures are saturated with water damage from years of rains that flood the entire ‘town’. Recently two documentary filmmakers, after learning of the location from a well-known urban explorer’s blog, visited ‘The Hole’ to tell its story and talk with the inhabitants still hanging on to their lives there. What’s interesting is that this scene is repeating the industrial world over as yesterday’s buildings become the future’s archeological dig sites. 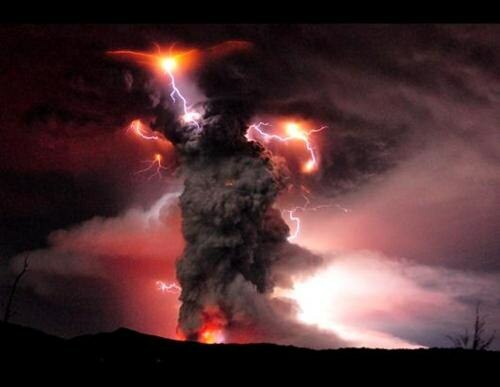 Electric storm meet volcano eruption. Can anything be cooler? I defy you to find it. Sure, it’s a weather phenomenon and not mystical mischief makers of lore. Still, pretty cool.